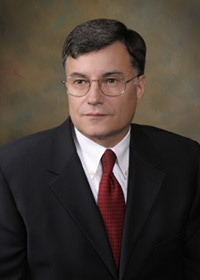 Curtis R. Tingley is the managing attorney of Tingley Law Group, PC. Mr. Tingley holds a peer-review rating (AV) by Martindale-Hubbell, is a designated Super Lawyer® in the area of intellectual property litigation, and was named to the “Best Lawyers in the Bay Area” list published by Bay Area Lawyer Magazine in the area of intellectual property. Under Mr. Tingley's management, Tingley Law Group, PC. grew to become one of the top 10 trademark defense firms, ranked nationally by number of cases handled over several years. He is a member of the AIPLA, and has published articles and lectured throughout the United States on significant legal issues pertaining to technology industries. Curtis Tingley graduated from Stanford University in 1979, and received a law degree and MBA from Santa Clara University in 1983. You may contact him at ctingley@tingleylawgroup.com.